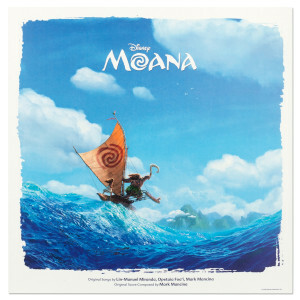 Movie cast features superstar Dwayne Johnson as Maui and newcomer Auli'i Cravalho as the voice of Moana. Plus, the film is directed by Ron Clements and John Musker (The Little Mermaid, Aladdin, The Princess and The Frog). 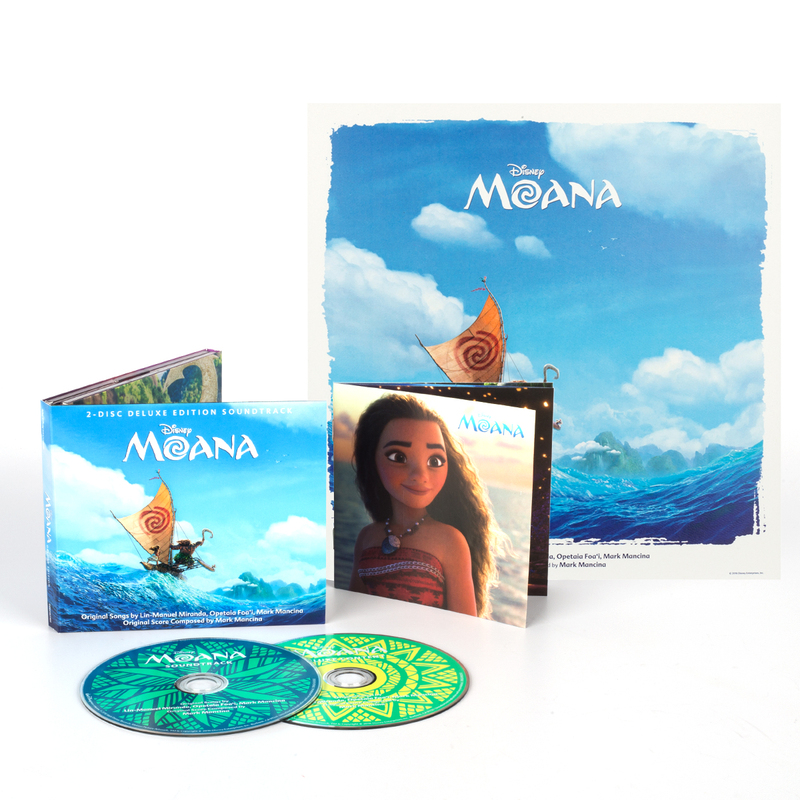 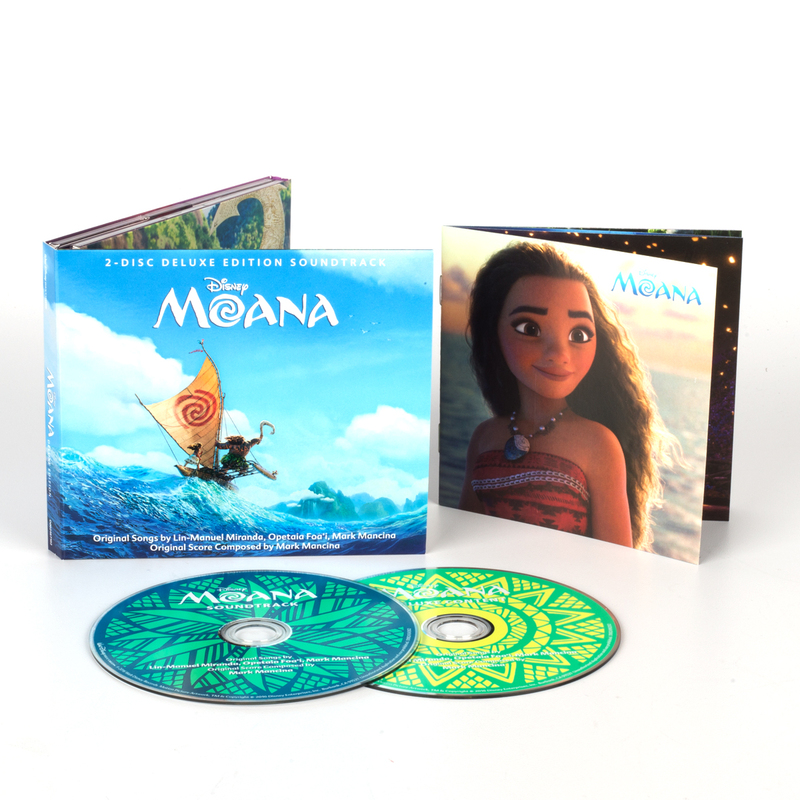 Moana Deluxe edition contains the soundtrack plus original demos, outtakes and more! Bundle includes Disney Music Emporium exclusive lithograph. 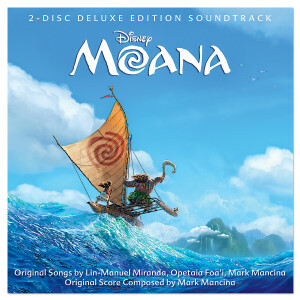 I love (your welcome ) i think is an a amazing song. I love the song " your welcome "